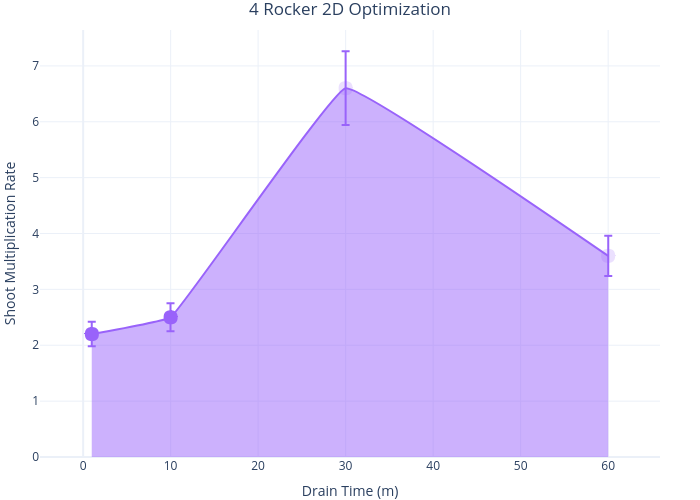 Wevitro's interactive graph and data of "4 Rocker 2D Optimization" is a with vertical error bars; with Drain Time (m) in the x-axis and Shoot Multiplication Rate in the y-axis.. The x-axis shows values from -4.927251732101617 to 65.92725173210161. The y-axis shows values from 0 to 7.6421052631578945.